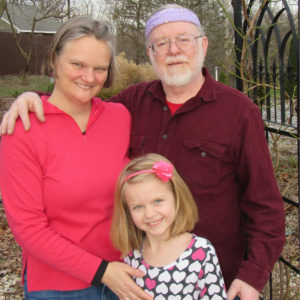 Michelle Glowacki-Dudka, Jerry Hall and their daughter Charlotte believe IPR provides a better understanding of what’s going on in the community locally, nationally and internationally, and connects listeners by raising awareness of the topics we all hear every day. IPR has been informing and enriching the lives of our families, friends and neighbors in East Central Indiana through the years because of loyal members and supporters like you. YOUR membership and community support are the lifeline of Indiana Public Radio. Lead the way by making a Leadership gift of $1,000 or more, which enables consistency in our programs. YOU can enhance capacity of public radio and join the Leadership Circle to make sure it remains strong for you and the next generation of listeners. Inspire Your Community. Impact Your World. The Indiana Public Radio Leadership Circle honors contributors who make annual cumulative gifts of $1,000 and above. Matching gifts from businesses count toward membership. Check with your employer to see if there is a matching gift program where you work. Inspire others and impact your world. Make a major investment in IPR’s mission and enhance its capacity. Join the Leadership Circle today! Invitations to member only and Ball State University Presidential Giving Circle appreciation events.